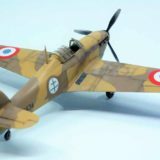 Home » Posts tagged "Model Kit"
It is second one Hurricane Mk I built by Thibault Choquart. This one with spectacular French roundes and Lorraine cross insignia. r Model Expert Set was built out of the box with use kit photoetched parts for superdetailing. 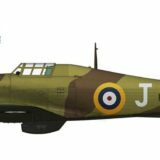 See photos of built model and read comments on kit built and painting.! 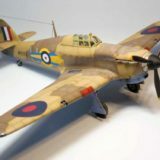 Thibault Choquart, French modeller you may know as HAMILCAR from Fighterforumactif have sent us photos of his excellent Hurricane. Tropical version of aeroplane was built from #70020 Model Kit, with some resin parts and finished with markings from Xtradecal. See model pictures now! Join community of our fans and start you benefits!